In the field, your laptop is probably your closest companion, gathering and storing information while you’re away from your company’s main network. Hours and days of irreplaceable data can be saved to your laptop’s hard drive, and if it gets damaged, recovery can be crucial. It’s best to understand data recovery services and data recovery prices. Whether you have a single hard drive in a desktop PC or a laptop hard drive, Data Recovery Cincinnati LLC, technicians are qualified to recover data from all laptop hard drives without voiding the warranty. Virtually every business and organization in the world has at least one desktop with which they maintain vital business records and personal files. Because of the workload you put on a desktop’s hard drive they tend to fail and data loss is more frequent and can be devastating. Take these simple steps to protect yourself from permanent data loss and increase your chances for a successful recovery and more affordable data recovery prices. Data Recovery Prices for Laptop Hard Drives start at $399! (Up to 70% of laptop drives can be recovered under our Comprehensive service). Comprehensive Data Recovery Prices for Desktop Hard Drives start at $399! (Up to 70% of desktop drives can be recovered under our Comprehensive service). Data Recovery Prices for External Hard Drives start at $499! (Up to 70% of external drives can be recovered under our Comprehensive service). Data Recovery Prices for RAID Recovery Hard Drives are on a case by case basis! Every situation is different. Advanced Data Recovery Comprehensive Data Recovery Service pricing is per drive: laptop, desktop, internal, external AND RAID hard drives of any size. Bad sectors, Firmware damage and corruption, Electrical failures, Logical failures, Reformatted and deleted files. In some situations, your drive may have experienced more severe failure that requires Exhaustive or invasive cleanroom procedures to get your drive reading so we can extract your files. In these cases, we will contact you before proceeding with exhaustive data recovery procedures because it is a costlier process. We will give you the option to stop the process or continue with recovery. Remember that most recoveries fall under our Comprehensive service and only a certain percentage require invasive, Exhaustive procedures. You might be wondering why we can offer these low, flat rate data recovery prices when other data recovery companies quote you a broad price range like $500 to $2900 or $300 to $1700 and even much higher to recover RAID hard drives. We care about our clients and believe in treating you fair. Just because your data is valuable and you are experiencing an unexpected and stressful situation doesn’t mean you should pay a high price to get it back. We have found that by treating customers fairly they recommend us to their friends and associates. Because of our experience we know the percentage of drives that require various procedures so our prices are based on that. To Get Started Call: 513.338.9756 Now!! Besides Comprehensive Data Recovery Services, you also get FREE shipping. We provide you with a prepaid shipping label so all you must do is print it, package your drive and take it to your nearest store, drop box or shipping station. Exhaustive (Invasive Cleanroom Work) Data Recovery Services and Prices. Exhaustive Data Recovery Prices for Laptop, Desktop and External Hard Drives up to 1tb capacity start at $899. Exhaustive Data Recovery Prices for Laptop, Desktop and External Hard Drives over 1tb to 3tb capacity start at $1199. Only 30 to 40% of laptop, desktop and external hard drives require Exhaustive/Invasive recovery procedures. Exhaustive Data Recovery Prices for Laptop, Desktop and External Hard Drives at the 4TB capacity $2699. severe platter damage/bad sectors, Heads stuck to platters, Frozen motor, Blown/failed chips (NAND wafers) on SSD Drives. Besides Exhaustive Data Recovery Services, you also get FREE shipping. We provide you with a prepaid shipping label so all you must do is print it, package your drive and take it to your nearest store, drop box or shipping station. FREE Diagnosis! We guarantee we’ll recover your data or no charge. No Risk Guarantee: No data, No charge for standard recovery service. Researching the most affordable data recovery prices. 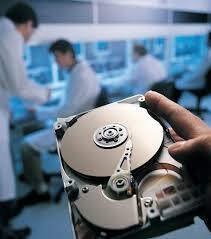 Contact Data Recovery Cincinnati today for a free estimate.